Society as a whole has watched Gen Z grow up with mobile devices in hand. Gen Z obsesses over building online versions of themselves while staying connected to other trend setters. 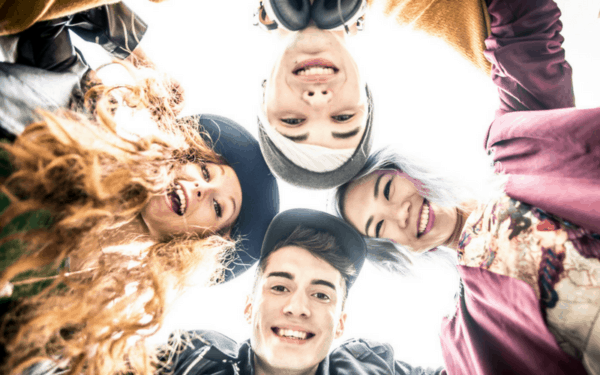 The question arises as to how marketers are using different digital outlets to connect with Gen Z, and how Gen Z is reacting to those marketing efforts. What are teens doing on their phones all day? Snapchat: An app that allows users to take and receive pictures of themselves, their friends, and most importantly, their surroundings. With a click of a button teens can now “invite” others into their world by not only sending photos, but videos as well. It’s a teen’s access to behind the scenes of their friends, celebrities, and favorite brands and icons. Marketers can use snapchat as a way to let the outside world in. Snapchat gives companies the opportunity to invite customers into their world by uploading real-time and authentic snapshots throughout their day. Recently, Snapchat has also introduced a new feature, Snap Map, which allows users to see their where their friends are in real-time and view stories about what is happening in that specific location. Instagram: This app allows users to post and share pictures and videos with their friends. Recently Instagram took on one of the most popular trend features of Snapchat, the “insta-story,” where users can post a series of quick videos and photos throughout their day. Through Instagram, brands have the option to directly reach their fans and engage with them. Through certain strategies like sponsored contests, giveaways, and incentives, brands can increase customer engagement and really connect with their target audience. House Party: This app allows group video chat for the first time ever. Teens are drawn to this because they are able to have frequent conversations with people they care about most and can video chat with multiple friends with ease. Brands can use this in the future to host virtual events and allow multiple users to engage with the brand and key influencers at the same time. What are some brands that teens follow? Nike: The famous Nike Swoosh is seen on more teens now than ever before. Nike is very active on different social media outlets, which allows many teens to interact and engage with the brand. In addition, Nike is also known for promoting a strong and healthy lifestyle, which is a current trend that many teens follow. Forever 21: Teens everywhere have turned to Forever 21 for in-style clothing at a reasonable price that won’t break the bank. The brand’s casual-chic aesthetic combined with affordable pricing makes them highly appealing to the Gen Z generation. Anastasia Beverly Hills: A cosmetic brand which has gained millions of followers because of their active social media accounts, which shows key influencers wearing the makeup. Young female teens often strive to be just like their favorite celebrity, so teens are now purchasing the makeup as well. Amanda Steele: A self-taught makeup advocate who has been an icon for many young teens looking for makeup advice. She also is a very well-known video blogger and actress. You can see her on Gossip Girl and AwesomenessTV. Zendaya: Often seen on Disney Channel, Zendaya has landed her first big screen appearance as a main star in the new Spider-Man franchise. Zendaya is very active on Instagram and Snapchat where she reaches out and engages with her fans. Connor Franta: A YouTube entrepreneur who is known for his hilarious sketches and inspirational videos online. He attracted many fans because his followers were able to connect to his different messages. As marketers in the always-changing era of 2017, there are many valuable takeaways to be gained from these influential brands and personalities. We have seen first-hand that these influencers have a way of affecting and inspiring Gen Z teens. If your company needs help with a strategy to reach and engage with younger generations, or if you need any digital marketing assistance, please contact us online or call us at 404.848.30305. All credit is due to the original article: Gen Z Power List: Meet the Brands, Platforms, and Creators That Teens Love. See Original Article Here.